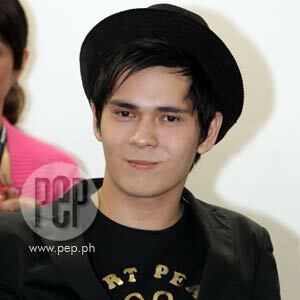 Piero Vergara said he wants to follow the career of Dingdong Dantes. "Libre lang naman mangarap, umasa," he said. A lot has changed for 16-year-old Piero Vergara after StarStruck V. Although he only finished 9th in the reality show, Piero said people still recognize him. "Maraming nag-change talaga. Before, I was this guy who was just walking on the street to go to school. But now... I'm not saying naman na I'm suddenly this big celebrity, but there are people that recognize me pa rin. Kahit they don't even acknowledge me, they just say, 'Hey, I saw you on TV.' You know it's great that people notice," he told PEP (Philippine Entertainment Portal) last April 19. StarStruck V's Final 14 visited the Summit Media office last Friday, April 16, for a meet-and-greet session with Summit editors, including PEP. Piero said being popular has its drawback. "Medyo mahirap din na nag-iba. I can't go out much. You can't do stuff that normally you're supposed to do, because you have to keep up with an image and stuff like that," he said. He does not have any "crazy" fan experience. "Wala talaga. Because I don't call them fans, I call them supporters. Pangit naman pag fans, parang ang layo." TRUST IN GMA-7. It has been almost two months since StarStruck V ended, but Piero still does not have any project in the Kapuso station. But things are cooking up, he said, and he trusts that GMA-7 would give him good projects. "I'm just sitting here, I trust them with what they're planning to do with me. Pero if ever something comes up, why not? As of now, wala pa," he said. Piero said he's so busy attending artista workshops that he does not even have time to go to the gym. "I've been making promises to myself, pero ang hirap ng oras. We barely have free time. Kahit na if you're not doing any projects, you know? You go to places, they ask you to do stuff. So yung gym is out of the question," he said. To keep physically fit, Piero said he just tries to eat less. "Kahit na ganun kasarap yung lechon, tigil na lang ako."